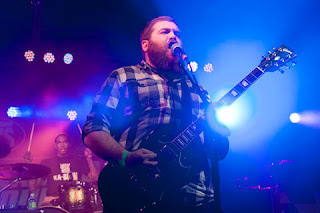 Nate Bergman is the guitarist and vocalist for Lionize, a band that plays music that’s hard to define but easy to enjoy. 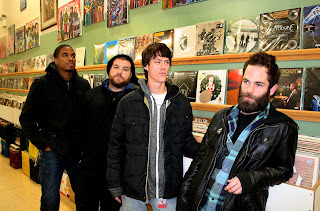 The group’s songs feature elements of stoner rock and hard metal, guided by a reggae/funk spirit that leads the listener into groovy realms previous groups have never tried to go to, challenging the listener’s preconceived notions. This original sound is possible because of the band’s independence from the mainstream, which has served it well throughout its career. Left to its own compass, the band has journeyed far, touring the world with similarly exotic groups like Ozomatli and CKY, and playing and recording in Kingston, Jamaica, a locus of reggae culture. Lionize will be making a stop at the Fox Theater in Pomona this week supporting Streetlight Manifesto and Reel Big Fish. Guitarist-vocalist Nate Bergman is having a good time on the tour. “It’s been great. We just got finished playing a show in New Orleans last night. That place is one of our favorite cities.” After the performance, the group enjoyed the town’s legendary night life. Lionize recorded its latest album in a different manner than usual. First, the band composed the songs and spent months rehearsing before going into the studio to record the album. The polishing and perfecting paid off . . . the final creation has an organic energy technology can’t replace. Lionize did a lot of homework to make sure the album is all-natural, something Bergman believes every musician should aspire to. Playing and recording in Jamaica will always be a very high point for Lionize. 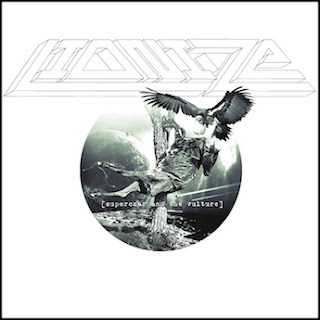 With so many angles to the band’s music, it doesn’t always fit in, but for Lionize being that original is the perfect fit. Bergman is certainly enjoying it all. Lionize with Streetlight Manifesto, Reel Big Fish and Rodeo Ruby Love at the Fox Theater, 301 S. Garey Ave., Pomona, (909) 784-3671; www.foxpomona.com; www.lionizemusic.com. Thurs, Dec. 22. 7PM. $22.75-$25.